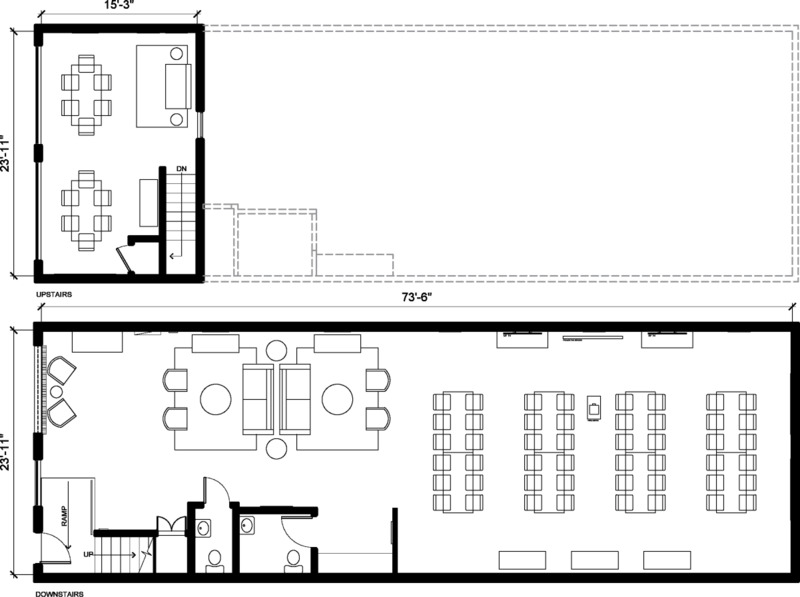 An expansive ground floor space with seating for 40 or more along with a lofted breakout area, a huge lounge, kitchen, 2 bathrooms and a garage door; this location is the epitome of the SOMA offsite. It's perfect for large team meetings, offsites, presentations, product unveilings (Hi Dreamforce!) and events large and small. The projector is kept in a black bag on the credenza in the space. The minimum reservation length for this location is 4 hours.